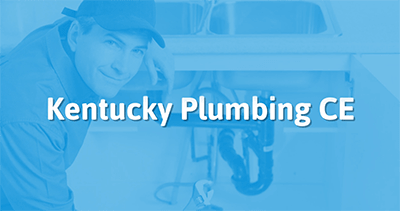 We are the first provider approved by the Kentucky Division of Plumbing to offer online CE. Enroll now to take your CE at your convenience and your own pace (Kentucky Division of Plumbing Provider #PLBCEP-0030). Once you complete your course we will report the completion of your continuing education the next Monday or by request. Rush reporting is available. Licensed in more than one trade? CLICK HERE to check out our Kentucky Multi-Trade course to meet the requirements for all of your trade licenses with one course! In the state of Kentucky, licensed Master & Journeyman plumbers are required to have 6 total hours of continuing education. This course package provides 6 hours of Kentucky Division of Plumbing approved continuing education. This package is designed for both journeyman and master plumbers. This class will help both master and journeyman plumbers stay up-to-date with some of the latest developments in plumbing technology and how those changes are reflected in the current code books. Also, if you have a plumbing business, craft and enforce better workplace safety and consumer protection or, if you work for a plumbing company, it will help you foster and pursue safer workplace. This AYPO continuing education class for master and journeyman plumbers in Kentucky is based on the 2013 Kentucky State Plumbing Code. This class will help both master and journeyman plumbers stay up-to-date with some of the latest developments in plumbing technology and how those changes are reflected in the current code books.The course will also cover the the 22 basic principles of the Code which promote safe and sanitary practices. Lastly, we?ll talk about energy conservation practices, and how to be compliant with the International Energy Conservation Code. This 1 hour class provides plumbers in Kentucky with a broad based introduction to every element of rainwater harvesting, including the history, the costs and benefits, and how each component of the system affects the system?s overall design and effectiveness. The class also presents some recommendations for how to get the best results for each type of system. The Division of Plumbing has received the PLB-3 form requesting approval to become a continuing education provider for Kentucky plumbing license holders. At Your Pace Online has been approved as of July 14, 2015. The approval number shall be on all advertisement and course certificates. As an approved provider, you have agreed to adhere to all regulations set forth in 815 KAR 20:034. 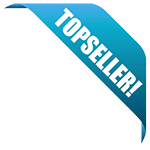 This approval is valid for a two (2) year period, starting from the date of approval. NOTE: The Division will from time to time monitor courses offered by all approved providers. If you have any questions, please call the number listed above or e-mail at evelyn.mills@ky.gov.